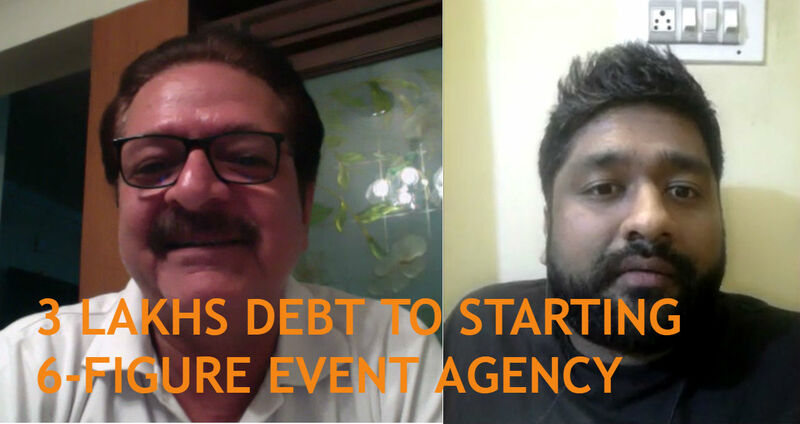 How Vivek Sridhar went from 3 lakhs debt to starting his own 6-figure event agency? Vivek joined our event management institute back in 2008 and started interning for a lot of events and gained some experience. He learnt how to deal with clients and vendors during his internship and created a huge vendor database which helped him with his agency. Vivek started his own agency against my advice – this bombed miserably which resulted in an outstanding debt of 3 lakhs. He was young and lucky. But, he soon realised he needed to to focus on what kind of events he should be doing, build great teams and do online marketing. How Vivek built his contacts and vendor list which played a very pivotal role in starting his agency. How Vivek became an expert in housekeeping and brought it to international standards while most would be skeptical taking up such role. Why dealing with vendors and people in a very polite and subtle way is very important and how Vivek learnt to do this by interning for events. Why you must network during events to build good relations. Vivek’s big mistake: Starting an agency immediately after graduating and presuming he knew what was needed to run an agency led to an outstanding debt of 3 lakhs at age of 19. Moment of breakthrough: Focusing on what kind of events to do, setting up systems within the business, leveraging online marketing and building great teams. Vivek is now expanding to different regions and is looking to hire talented young individuals. There is a lot of work in the market provided you maintain the quality of service you provide and being ethical with your clients and vendors. How college fests are not event experience and why one should do a event management course before getting started in the event industry.